News - CPS Ingenieros, Obra Civil y Medio Ambiente S.L. Progress is also being made in the construction of the tunnel connection to the 4th Rocade or by-pass. Two 1.300 metre long tunnel tubes, capable of housing 3 traffic lanes in each direction, the structure is in place and 66% of works have been completed. The subject of the contract is to monitor the work of regulation of vehicular and/or pedestrian traffic by signaling road corridors, level crossings or overpasses, bike paths, platforms and parking approved by the District Mobility Department of the city of Bogotá D.C. With an estimated duration of 4.5 months, the start of the service is scheduled for February 2019. The works outlined consist of the superstructure of dock 11 measuring 345 m long and 7, 40 m wide from the pier ledge, extending the length of the capping beam every 20m of pier in the area where pier fenders are housed with on plan dimensions of 5m long pier direction and 1,40m wide. With this scope of action, it will be possible to bring forward the berthing line and thereby guarantee a minimum 1m safeguard between the bottom and the ships’ hull. Dredging will also be carried out on the berthing facility to the 11 meter level. CPS has begun work to determine traffic on the highway network of the Diputación de Valencia (Valencia Provincial Authority), using the analysis of the data registered at gauging stations located within the Provincial Authority’s remit. CPS has extensive experience in the use and management of traffic data obtained from ITS equipment, along with the development of traffic studies; the company offers a multidisciplinary team and specifically developed tools for handling traffic information. Preparation and follow-up of the Gauging Plan. Validation and analysis of traffic information. Collection of affinity coefficients and traffic parameters for drafting the Annual Gauging Map. Production of specific traffic studies. Development of software for traffic data use and analysis. CPS has completed tests on the installations at the New High Speed Train Station in Elche, Alicante. Over the final months of 2018 these tests have been performed and electricity, water, telecommunications, fire protection and air conditioning facilities have been implemented along with user and safety information within the terminal building, this area being comprised of two 400m long platforms, outdoor landscaping, access routes and a car-park area. Once each of the individual tests was completed, the integration and monitoring of each has been supervised by the building’s Centralized Management System (Scada). CITIZEN PARTICIPATION WORKSHOP ON THE PLAN FOR SUSTAINABLE MOBILITY IN THE URBAN ENVIRONMENT (PMUS), IN LES ALQUERIES (CASTELLON). In the Plenary Hall of Les Alqueries, CPS held a citizen participation workshop to address the Plan for Sustainable Mobility in the Urban Environment. The event consisted of a presentation of mobility-related issues to be addressed during the workshop and an exercise designed to analyze in groups the problems detected and the proposals suggested by those attending. The resulting feedback from this citizen participation shall serve as a basis for developing future action proposals for the plan. 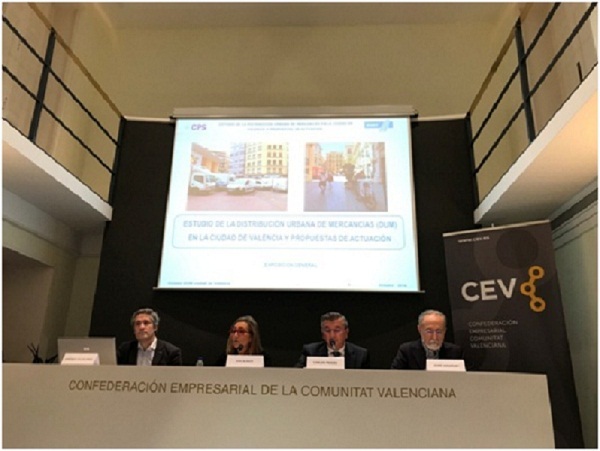 LAUNCH OF THE “URBAN FREIGHT DISTRIBUTION STUDY (DUM) AND PROPOSED ACTIONS IN THE CITY OF VALENCIA”. 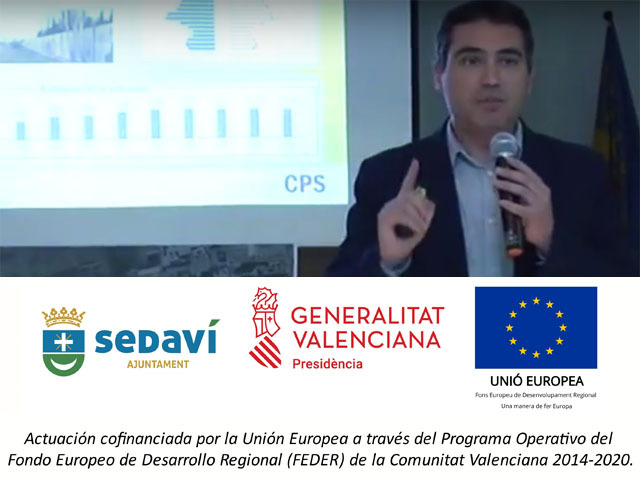 CPS provided technical assistance for drafting the Urban Freight Distribution Study (DUM) and Proposed Actions in the City of Valencia”. 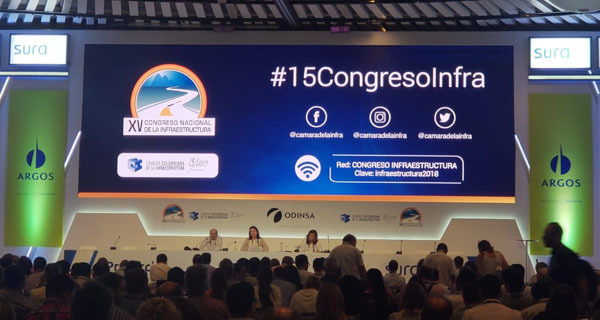 CPS Colombia has been present at the XV National Infrastructure Congress attended for the third consecutive year, which took place between 21 and 23 of November in the Cartagena de Indias Convention Centre. The Cartagena Infrastructure Congress is the most outstanding event in our sector in Colombia and one of the main events of this nature of the whole continent, attended each year by the most influential national authorities. This edition was attended by the President of the Republic of Colombia, the Minister for Transport, several top government officials and representatives of public agencies, along with over 3.000 delegates from our sector. CPS hastaken the Congress as an opportunity to strengthen links with our partners in Colombia and to keep up to date with developments regarding the major investments planned in infrastructures in Colombia. 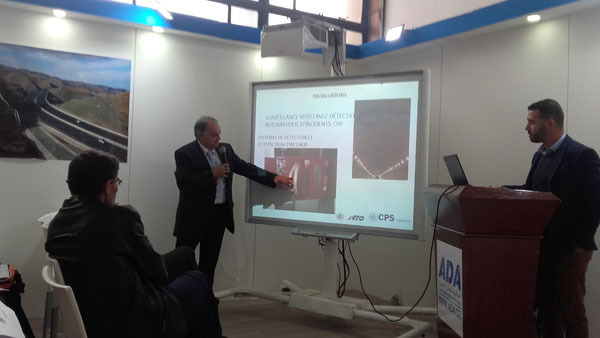 CPS has taken part in the 16th Edition of the International Public Works Exhibition (SITP 2018) in Algiers, held from the 21st to the 25th of November. Within the context of the International Public Works Exhibition - SITP – held between the 21 and 25 of Novermber 2018, CPS INFRAESTRUCTURAS, MOVILIDAD Y MEDIOAMBIENTE gave a presentation entitled“Road tunnel equipment”. On 21st November last the Mexico Road Safety Audit Manual for the Mexican Federal Highway Network, prepared by CPS MEXICO. CPS MÉXICO has prepared for the Communications and Transport Secretariat (SCT) of Mexico, the Road Safety Audit Manual, and the first document to address road safety in projects for modernizing existing highways, new road and intersection construction and redesign or modification of the original project during construction works. The manual has beenpublishedonthewebsite of theDirectorate General of TechnicalServices and throughoutitsdevelopment, CPS MÉXICO has worked in closecollaboration of theMexicanTransport Institute. On the 6 and 7 of November last, the Cervantes Institute of Oran and the Spanish Embassy in Algiers held a symposium on cases of good practice in the architecture of fortifications. 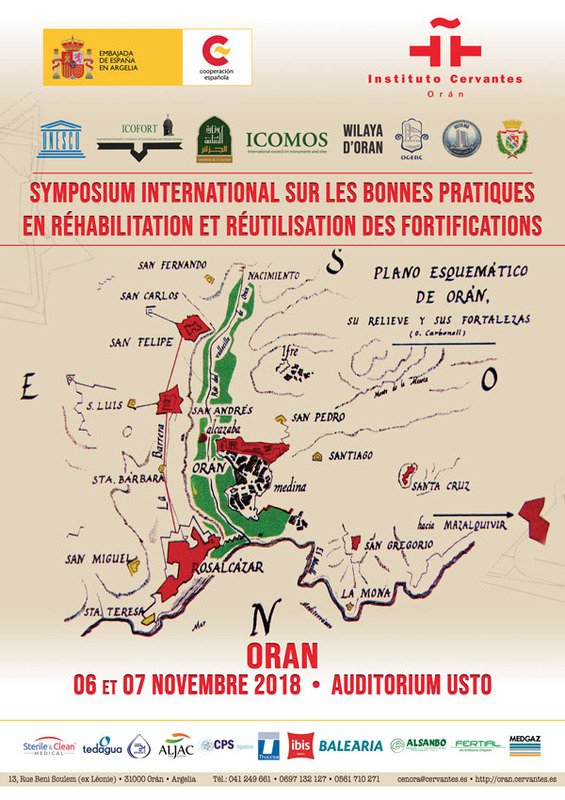 CPS INFRAESTRUCTURAS, MOVILIDAD Y MEDIOAMBIENTE, took part in the above International Symposium on good practice in the Renovation and Re-use of Fortifications in Oran (Algeria). Organized by the Cervantes Institute of Oran, the symposium was attended by members of UNESCO, ICOMOS and ICOFORT, national institutions such as the Algerian Ministry of Culture, the ARPC and the OGEBC, and bodies such as the Wilaya of Oran, the USTO University, the APC of Oran and a large number of international experts. On 1st of October last, the plenary session of Valencia’s Chamber of Commerce, chaired by José Vicente Morata, posthumously awarded the Chamber’s medal of merit. 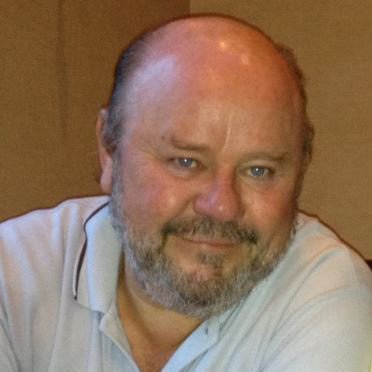 José Manuel López Lita, founder of CPS Ingenieros, who passed away on the 4th of July 2017, was thereby acknowledged for his professional career by the Chamber of Commerce of Valencia, of which he was a plenary member from 2006 to 2017. Of his many contributions to the city of Valencia we must highlight the design of the first cycle lanes and pedestrian zones that he promoted during his time in the Traffic and Transport Area of Valencia City Hall. Alongside the numerous engineering and construction management projects developed over 30 years of professional experience in the private sector (one of the most outstanding being the construction management of the Parque de Cabecera). The medal was accepted by his son, Borja López Beltrán, managing director of CPS and currently member of the plenary session of the Chamber, in the presence of the Regional Minister of Economy, Blanca Marín. The Consortium Supervisor Benjamín, headed by CPS Infraestructuras, Movilidad y Medio Ambiente S.L. Peru, has started the supervision during September which includes the replacement of the supply and sewer piping system in the Benjamín Doig Lossio residential state. The works, with a duration of 210 days, comprehends the removal of damaged supply pipes, the equipment of a new pipe, the replacement and construction of letterboxes, along with the household connections to the sewage network with the objective of improving the conditions of the water and sewage system of the residents of the Benjamín Doig Lossio residential state in La Perla district. 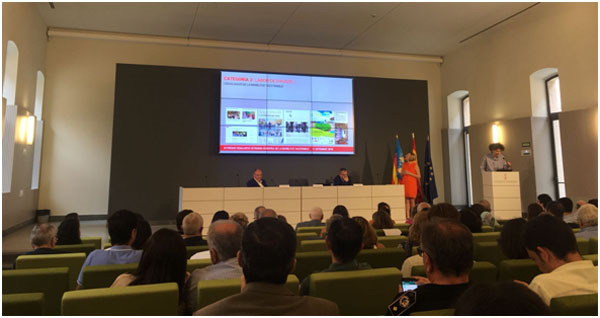 CPS attends the awards presentation for the European week of sustainable mobility attended by the Consellera of housing, public works and integration of the territory, María José Salvador Rupert. Valencia has celebrated the European week of sustainable mobility, a week full of activities for the promotion of sustainable mobility. In the schedule of the week, the Conselleria presents the awards European week of sustainable mobility in the Valencian Community (SEMcv). Among those awarded: territorial entities and social agents that have stood out for their actions or measures towards sustainable mobility. 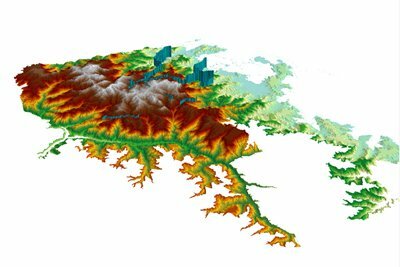 IMPARTING VISSIM TRAINING TO THE COMPANY SISTEMA S.A.
CPS offers certificate training courses for the use of transport modelling tools with software belonging to PTV GROUP: VISUM and VISSIM. On this occasion, our trainer Jose Luis Capella has travelled to the Canary Islands to teach a team of technicians from the company SISTEMA S.A. It has been a great opportunity to meet each other, share experiences on modelling and introduce them to VISSIM software. The project consists of the evaluation of the current state of the road surface and the evaluation of the most convenient rehabilitation of each of the homogenous sections in which the evaluated esplanade is divided. As from the month of July 2018, CPS will undertake the technical assistance and health and safety coordination of the abovementioned work. 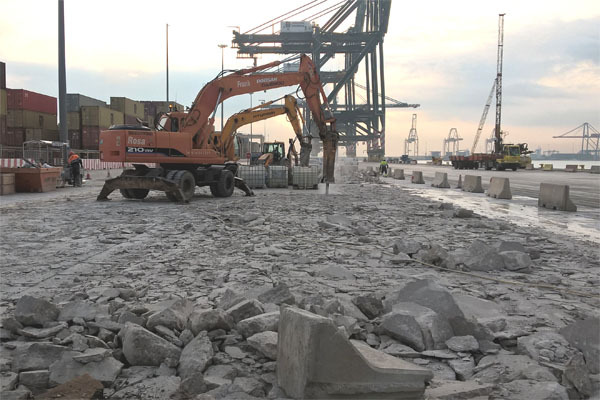 The works consist on the repair of, approximately, 45000 square metres of HF-4 paving of the container terminal that MSC operates in the Port of Valencia. Additionally, the works of repairment of the drainage system and the raceways in which the gantry cranes run will also take place. CPS has begun the development of the new contracts for the production of studies and technical reports concerning traffic and information management in the field of action of the management centres of Pirineos- Valle del Ebro (Zaragoza), suroeste (Sevilla) and levante (Valencia). software for the operation of the communications systems dependent on the CGT, including the specific software development needed for the management and control of traffic. CPS has almost twenty years’ experience in developing similar contracts. Additionally, it offers a complete multidisciplinary and highly qualified team. The Water, Sewer and Sanitation Company of the city of Bogota has awarded by means of a public bid, the contract to audit the renovation works of the CAN interceptor collector of the CYC CAN consortium, constituted among others by CPS Infraestructura Movilidad y Medio Ambiente S.L. Colombia branch. The contract includes the technical, administrative, legal, financial, environmental and social audit. Renovations will take place by means of the construction of a back-up interceptor collector, to extend the water capacity of the CAN sub-basin, in the districts of Teusaquillo and Engativá, in the District Capital of Bogota. Works are due to begin in August or September 2018 with a duration of 19 months, their completion forecast for the start of 2020. CPS Colombia has already gained experience working with the Bogota Water Company; in June 2018 the company successfully completed the contract for auditing the construction of the Tunjuelo-Canoas interceptor connection with an emergency tunnel and the extraction of tunneling machines from a depth of over 70 meters. The urbanized area occupies an approximate surface area of 13,419 m2 and will be connected by 6 new entrances to the surroundings of the new commercial area that is eminently consolidated. The planned works have an expected duration of 6 months and include the new paved areas and the execution of the necessary facilities for future commercial premises to be implemented in the area. CPS participated in the Business Park Seminars in the Vila-Real on June 14th. The Head of the Traffic and Mobility Area of CPS participated as a speaker in the XLII Seminars of the AAUCV (Group of Urban Arquitects in the Valencian Community dedicated to the development of Business Parks, held on June 14th in the Assembly Hall of Porcelanosa Group in Vila-Real (Castellón). CPS attended on the 5th and 6th of June the “MODELLING WORLD 2018”in the city of Birmingham where the principal European specialists of transportation engineering meet. 1. How is the autonomous car going to affect the roads? Will the road capacity increase due to the autonomous vehicle? 2. La mayoría de Administraciones municipales están preocupadas por ver el impacto en la movilidad urbana con la irrupción de fenómeno Mobility as a Service (MaaS). ¿Generará más viajes, habrá más vehículos en la red, mas viajes en vacío? 3. The majority of municipality Administrations are worried over the seen impact of urban mobility with the invasion of the phenomenon Mobility as a Service (MaaS). Will it generate more trips, more vehicles on the network, more empty trips? 4. Exists a cultural change at the European level, it is a fact that the new generations “millennials” do not need to have their own car to travel. 5. New technologies are reducing the need to make forced trips. 6. How long until 50% of vehicles will be autonomous? 7. The impact of big data in the information market for transportation analysis. This event allowed CPS to continue fulfilling our vision of providing innovative solutions for our clients, contributing improvements in their processes, increase efficiency in information management and decision-making. CPS will supervise the construction of two of the five main infrastructures planned for sporting events. According to the schedule, supervision will begin at the end of June 2018. In October of 2013, Lima was elected to host the XVIII Olympic Games and the Sixth Olympic Game of 2019. Thus, more than 10,000 athletes and technicians from 41 countries and delegations will meet in Lima between July and August of 2019, top compete in more than 60 sport disciplines. For the correct development of the competition, the Organizing Committee projected the construction of the five main infrastructures, two of them being: The Andrés Avelino Cáceres Sports Complex in Villa María del Triunfo and the Athletes Village in Villa el Salvador. The supervision of both infrastructures awarded an amount of 813,784.0 soles and 694,394.30 soles respectively, will be carried out in two phases. In the first phase, CPS will permanently supervise and accompany the construction company during the duration of the infrastructure construction. In the second phase of supervision, which begins after the completion of the works, the accompaniment of CPS will not be permanent and should only provide service for the detection and correction of defects in the project. 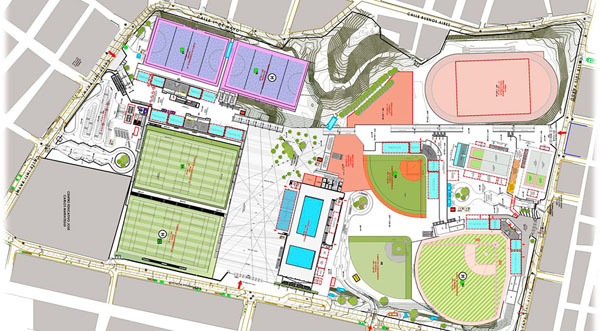 Villa María del Triunfo will host baseball, rugby, hockey, softball, waterpolo, basque pelota and paleta frontón, in an area that will be comprised of 215,489.48 m2. The Athlete’s Village will have seven towers between 20 and 19 floors that will contain 1,096 departments between 69 and 75 m2. Currently, the Port Authority of Valencia is developing an improvement on the rail connections by extending the length of the railways so that the freight container terminals can handle longer trains. 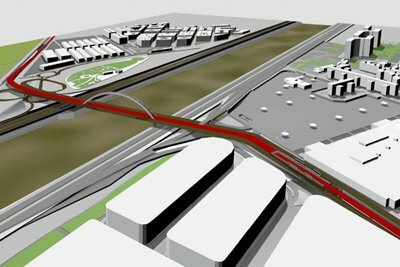 Therefore, it is necessary to project new access routes to the Noatrum terminal in a new location that makes both road and rail infrastructures compatible. Transfer of all the elements that can be used for the authorization of the new Access, considering that the accesses to the terminal must remain operative during said transfer. The demolition of the civil work elements located on the ground level in the area of the current/new doors or in the area planned for the extension of the railroad terminal. The design of the civil work necessary for execution of the designed new doors: separation islands, protective canopies as well as conduits for electrical lines, sewage or camera systems. The design of the new facilities required to service the transfer of existing doors. Modification of the data installation so that the new automated access is connected to the computer system of the terminal. After the first collaboration in the iRAP methodology development for the DGT, CPS has been collaborating in recent months with theFundacción RACC to develop the Quality Check on more than 1.000 km of road network on different highways in France, Holland and Italy. The iRAP methodology (International Road ASsessment Program) consists in the rating using “stars” (SRS, Star Rating Score) to measure the road safety of the entirety or part of the roads within the road network. This method has 5 work stages: Road inspection with specialized vehicles, assessment of the attributes of the network through the coding process, Quaility Check; generation of IRAP reports, establishing and invest program of countermeasures. The CPS technical team, in coordination with the Alcaldía municipality, held a public meeting for all residents to inform them about the improvement proposals found through the study to reorder the sense of public movement and circulation at the old RENFE station. The workshop was held at the Social Center of Riba-Roja of Túria with a presentation over the state of the current project, with changes from the first stage, of the municipality to reduce the internal traffic, as well as to review the extensive fieldwork that was done to obtain all the necessary information to begin the project. The work scope included the creation of a large cycle-pedestrian space of tertiary use for the inhabitants of Riba-roja at the old RENFE station, as well as the reorganization of the adjacent streets such as Arrosals street for redevelopment, which eliminates one of the circulation goals due to widening the sidewalk. The objectives that have been pursued with this study have been to direct the mobility of the municipality toward the current world trends in terms of efficient transportation management, providing better security to pedestrians and to promote economic and non-polluting movement to increase the quality of life for all inhabitants. THE VALENCIA CITY COUNCIL PRESENTES THE FIRST ROAD SAFETY DIRECTOR PLAN BEFORE THE MEDIA AND THE BOARD OF MOBILITY. CPS Infrastructures, Mobility and Environmental S.L. have created the first Road Safety Director Plan for the city of Valencia, presented at the press conference of the Sustainable Mobility Councilman and the Board of Mobility. The plan indicates the lines of action to advance the objective of creating a safer, friendlier and more accessible city. The plan establishes strategies of short, medium and long term for its application before 2023 and contains eight lines of actions to be developed. These lines of action include the improvement of infrastructures, education and dissemination, the process of data collection and study in depth as to where the accidents have occurred and been registered. It also includes a wide range of actions to be developed by all the City services and councils. With the main objective of reducing the number of accidents by ensuring the safe mobility of different users within Valencia’s public space, CPS began preparation of the Plan, May of last year, through a series of interviews and surveys with the main stakeholders of mobility and road safety in Valencia, including different administrations. The stakeholders allowed CPS the first diagnosis of the situation. With the diagnostic results, a participation survey was carried out with local relevant agencies that are associated with studying road safety in cities, to discuss and have feedback over the content, development, orientation and other relevant aspects that should be considered for the Plan. From there, eight local objectives and eight strategic lines of action were developed for the distinct work areas through an action plan composed of a series of different actions. The Road Safety Master Plan allows for a framework document that summarizes what has been done so far and what has to be done in the coming years. 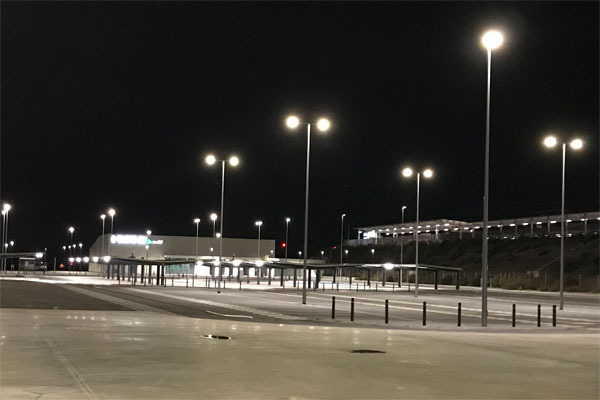 In the surroudings of Circuito de Cheste, the development of the new business complex called Parc Empresarial Circuito de Chese will be installed and will have access to the A-3 motorway through 2 connections. To know the service level of links 332 and 334 of the motorway after the commissioning of the business area, CPS has been contracted to carry out the traffic study in the links by collecting information in the field of a future prognosis of the projected state of the roads for the year of commissioning and in the coming year. Estos enlaces actualmente dan servicio al municipio de Cheste y al Circuito de Cheste mediante un enlace de pesas compuesto cada uno de dos glorietas y un paso a distinto nivel que atraviesa la autovía y conecta ambas glorietas. These connections currently give service to the municipal of Cheste and Circuito de Cheste through connections that each are composed of 2 roundabouts and a crossing over the highway to connect both the roundabouts. CPS IS AWARDED IN MADRID THE UPDATE OF THE CONSTRUCION SUITABILITY PROJECT FOR LA PLAZA DE SANTO DOMINGO. The Municipal Transport Company of Madrid (EMT) contracts CPS Infrastructures, Mobility and Environmental S.L to update the “Construction project for the parking lot of Plaza de Santo Domingo in Madrid.” The project will begin May 2018 with completion scheduled for June 2018. The municipal parking lot of Plaza de Santo Domingo (currently not active), had its last reconfiguration processes throughout 2006 and 2007, with only some actions partially carried out and others initially planned that are still remaining for the Construction Project of the parking lot in the Plaza de Santo Domingo (2008). Currently, given the time elapsed since the drafting of the Project and the new needs in terms of mobility and the environment within the city center, it is necessary to modify the 2008 Project. The project should adapt to a new functional scheme, updating all technical documentation at the same time, both to incorporate the new design from the point of view of constructive, structural, and facilities, and to adapt it to all current regulations applicable to it, a task entrusted to CPS. CPS beginsdevelopment of the Sustainable Urban Mobility Plan (PMUS) of the Castellón municipality of Les Alqueries. The objective of the Plan is to define the criteria and actions that, in the future, should make its mobility more sustainable economically, environmentally, and socially. Improvingroad safety, the offer of public transportation, pedestrian and cyclist mobility, accessibility,loading and unloading of goods/items or mobility under the concept of mobility and gender, are some of the aspects that PMUS will address. The Plan will be developed in the following major phases: diagnosis of the current situation; program of actions; monitoring and dissemination plan. The citizen participation, transversal to the development of the works, is a fundamental element to achieve a consensual agreement with future guarantees. This project will include the design of toll and electronic toll systems, ITS systems, the operations control center, and the fiber optics and communications project for four bridges on the border of Mexico and the United States of America. CPS Mexico has been awarded the drafting of the executive technology project for the construction of the bridgeslocated in Puntesdel Paso del Norte, Lerdo-Stanton, Zaragoza-Ysleta, and Guadalupe-Tornillo, all of which are located in themetropolitan area of the city Juarez, the most populated city in the state of Chihuahua (Mexico). This contract is part of a series of actions for the modernization of the border bridges taken by the Border Bridges of Chihuahua Trust with a foreseeninvestment of 60 million Mexican pesos and an expected benefit in the mobility of 140,000 users in total. CPS attended the recent Spanish National ITS Congress and was an active participant over the three day duration of the congress with the presentation of Interoperability in Toll Systems: Challenges, opportunities and lessons learned. The XVIII Spanish National ITS Congress was held in Madrid in April and served as a showcase for all the groundbreaking experiences related to the application of ITS in Spain, and in general trends on a worldwide scale. The Congress addressed all the areas in which CPS has been committed over the past several years; such as Mobility as a service, toll road scheme, cooperative systems, motorways and tunnels along with public transport and traffic and transport modeling using Big Data. CPS was present for all three days of the Congress and played an active part in the debates held there. Likewise, the Head of Transports and Mobility at CPS gave a conference on the Interoperability of toll systems, in which he addressed key issues based on the company’s extensive experience and presented a series of future challenges such as the implementation of Free-flow systems in the current and future Spanish road network under concession. CPS highlighted their experience in the design of free-flow toll systems and also underlined all technical, process and competence aspects as well as the legal conditions necessary for their implementation. The presentation was very favourably received and some key related issues were debated in more depth with some of the participants present. The Moyobamba Consortium, made up of CPS Infraestructuras, Movilidad y Medio Ambiente S.L. Peru Branch and a further collaborating company, will begin the supervisión in the month of May. This work, promoted by the National Copescu Plan, the Foreign Trade and Tourism Ministry in Peru, will have a duration of 180 days and was awarded for the amount of S/. 702.508,98. These works will upgrade the tourist services offered in this natural beauty spot at an altitude of 575 meters, offering panoramic views over the Valley del Mayo. By performing these improvement works, national and overseas tourism will be promoted, thereby benfiting the local population. 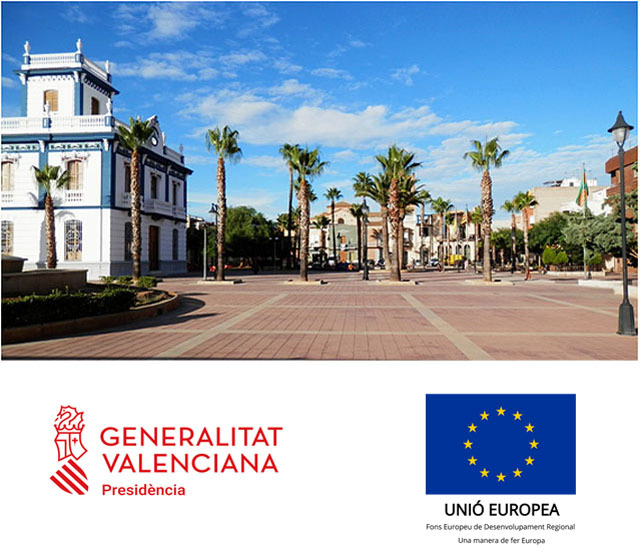 The works include improvement in the centre of the Calzada village, such as rehabilitation of the Plaza de Armas, local road leading to the village, the construction of a pedestrian footpath and a square for inhabitants, and a visitors’ centre for tourist information purposes. Mount Moro Calzada shall also benefit from the building Works with the renovation of the pedestrian footpath from the centre of the village to the Summit. Two vantage points, public conveniences and recreational areas for tourists will be built at the top of the mount. Finally, this is a tourist area popular for birdwatchers, therefore bird perch and nesting areas will be constructed in a area separate from the village, along with an Access path leading there. CPS has participated in the innovation workshop at the Polytechnic University of Valencia for the UNEIX plan of the Generalitat Valencia on April 25th and 27th. The technical team of the Traffic and Mobility Department of CPS participated in the innovation workshops organized by the Generalidad Valenciana dedicated to the development of mobility from the point of views of gender and children. These workshops dealt with different issues related to current mobility and where actions should be directed to achieve mobility that is more inclusive in the future, taking into account the needs of people in each scenario that makes up mobility. In this way, the workshop generated several working groups, where CPS experts participated in both as members of the table and as moderators. 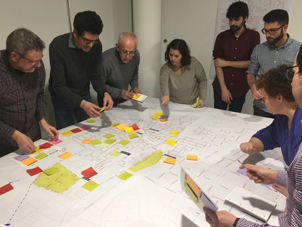 The results of these workshops have been compiled and published on the page of the Generalitat in the following link: http://www.habitatge.gva.es/es/talleres-de-innovacion. Within the framework of several activities held to celebrate the Second Week of Sustainable Mobility organized by Sedaví’s Town Hall, the PMUS document was presented to coincide with completion of its final draft. Throughout the development of this Plan, a full data collection has been conducted in the town (surveys, vehicle capacity meters, road inventory, etc.) and in March an Open Day to encourage citizen participation was held. Following the appraisal and diagnosis stage, the finalized document has been completed and includes all activities programmed within the Plan and follow-up in the future. 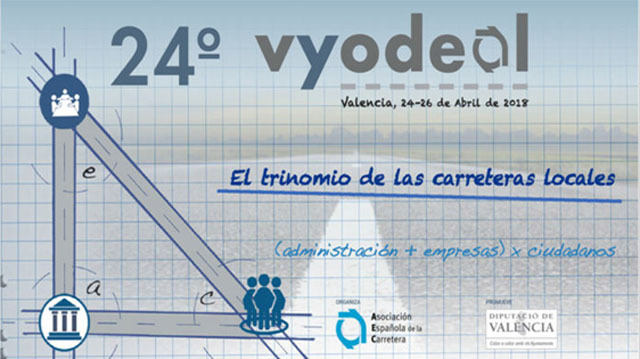 The prestigious conference on local highways, organised by the Spanish Road Association and promoted by the Valencia Provincial Authority gathered Public Authorities and private sector companies between the 24th and 26th of April in Valencia. CPS presented two papers in the VYODEAL Conference: "Development of an Information System for Managing Accidents and Road Safety on a Highway Network. The case of the Valencia Provincial Authority”, delivered by José Alberto Ceballos Laguna, Head of Road Safety; and "Sustainable Mobility in small towns”, presented by Jose Luis Faubel Cava, Head of Traffic and Mobility. 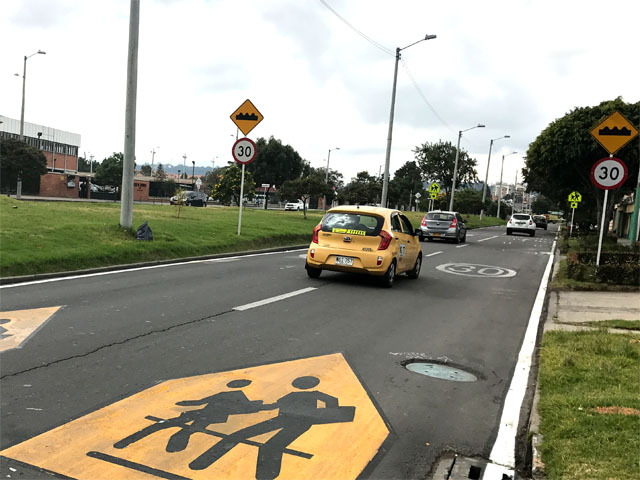 CPS Colombia, in a joint venture with several local partners, has been awarded a contract for auditing road safety and signaling in three districts of Bogota DC over the next 11 months. CPS Colombia has been awarded by the District Mobility Secretariat of the city of Bogota, a contract for the “TECHNICAL, ADMINISTRATIVE, FINANCIAL, ACCOUNTING AND LEGAL AUDIT OF CONTRACTS WHOSE OBJECTIVE IS TO PERFORM ACTIVITIES RELATED TO THE PROCESS OF SIGNALING AND ROAD SAFETY IN THREE DISTRICTS OF THE CITY OF BOGOTA D.C.” along with their local partners led by ECOSAS. This contract has a duration of 11 months and a budget of $1.232.354.480COP. With this contract, CPS Colombia continues to provide the road safety and signaling audit service in the city of Bogota as it has done over the past few years. Works on the Tunjuelo Canoas interceptor connection continue to make progress, after removal of the two tunneling machines which were working at a depth of approximately 70m below ground. It is forecast that these works be completed by June 2018. 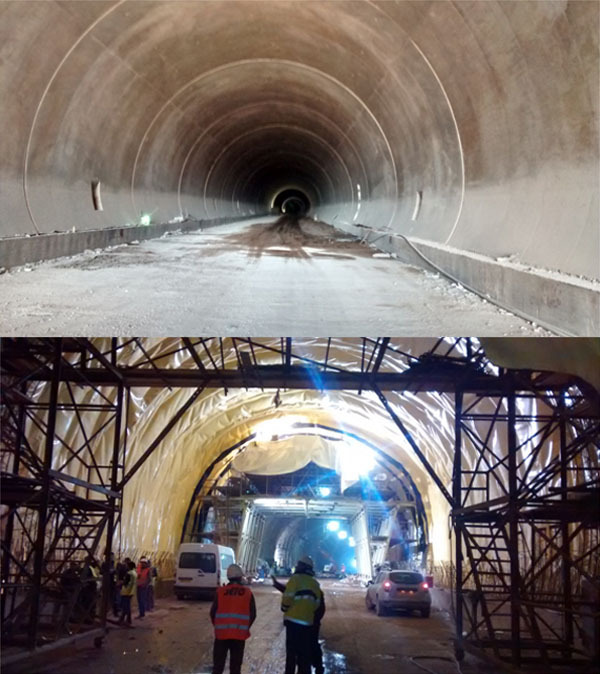 Works on the Tunjuelo Canoas interceptor connection continue to make good progress after removal of the two tunneling machines, installed approximately 70m below ground by means of a vertical 12 meter wide well. To date, works are 86,30% completed, therefore it is estimated that construction will be complete by June 2018. 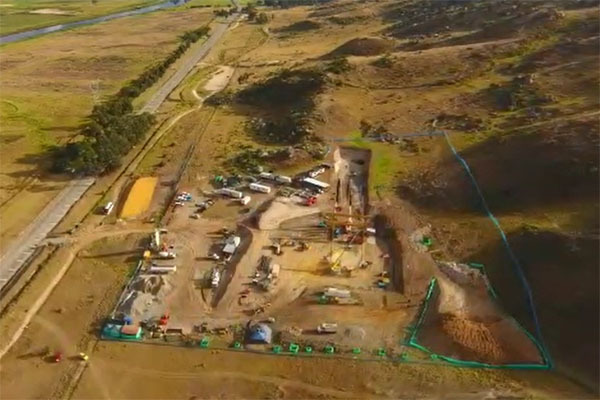 Just the works to complete the Tunjuelo Canoas interceptor´s connection remain, by means of an energy displacement element which is currently being excavated, using manual methods due to complexity of the works. Following the Diagnosis stage performed recently within the PMUS Plan underway in the town of Sedaví, a meeting was held to give local people the opportunity to voice their concerns and proposals thereby completing the first stage of the plan. The citizen participation workshop was held on 27 March 2018 at Sedaví Town Hall after notifying residents via the different social media channels available (website, Facebook, etc.) A specific call was made to municipal associations to provide a voice for all involved to take part and present their issues and proposals related to mobility in the town and through the PMUS, work towards an improved, more sustainable urban mobility in Sedaví. After collecting the results a large map of the town was presented so that participants could point out specific areas in the town with problems. The entire development and conclusions of the workshop will be compiled in a significant chapter included in the PMUS completing the diagnosis stage and providing a basis for the following proposals and future actions stage. On 13 March last, the Consortium lead by CPS Infraestructuras, Movilidad y Medio Ambiente S.L. Peru Branch, was commissioned to supervise the sanitation works in the borough of Lima. This supervision service, which was awarded for a total budget of 372.328,50 sols and will have a duration of 330 days, will allow the quality of life of this town to improve considerably, as it was severely affected by the meteorological phenomenon known as El Niño. The works include the implementation of a drinking water system, a sewage network and a waste water treatment plant. The main objective is to provide the appropriate services of basic distribution and sanitation in order to improve the population’s quality of life. With regard the drinking water system to be implemented, water will be collected from aquifers by means of water galleries with a perforated PVC pipeline. Water intake will be collected in a reinforced concrete water chamber, and will be conducted via a 7.200 ml pipeline to a 500m3 capacity reinforced concrete reservoir for storage. Works also involve water mains from the reservoir and 17.000 ml of distribution network pipelines with their corresponding domestic connections to provide residents with a basic drinking water service. With regard to the sewage system, CPS will supervise the construction of 17.500 ml of PVC pipes for drainage collector networks. To do so, concrete junction boxes need to be constructed with the proper household connections. Finally, a waste water treatment plant will be installed for disposing of pollutants present in the water effluents from the sewage network. SIGNAGE AND ROAD SAFETY IN THE CITY OF BOGOTÁ. CPS will perform a Technical, Administrative, Financial, Accounting, and Legal Audit to signing and road safety contracts in the areas north and south of Bogotá for the District Department of Mobility of Bogotá. After the allocation of this contract, CPS INFREASTRUCTURAS MOVILIDAD Y MEDIO AMBIENTE will be responsible for carrying out the Technical, Administrative, Financial, Accounting and Legal Audit who´s objective is to carry out in an integral manner the activities inherent to the signaling process and road safety in the southern and northern areas of Bogotá city (Colombia). The execution period is 11 months in which the quality control of the materials used will be exercised, the fulfillment of all the contractual requirements, the financial management that is given to the resources, as well as the administrative functions delegated by the Secretariat District of Mobility of Bogotá. 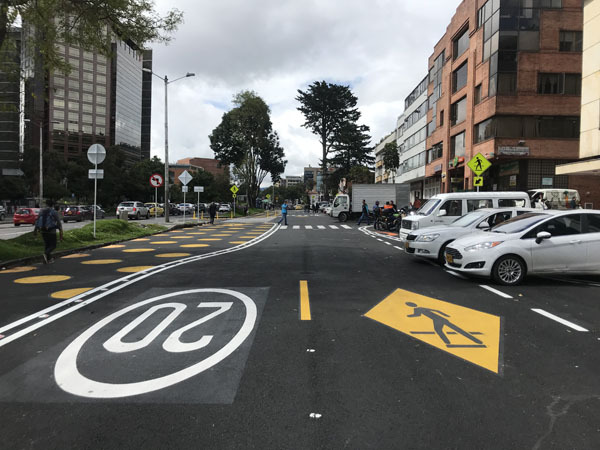 With this new contract, continuity is given to the contracts that is has been carrying out for the District Department of Mobility in the city of Bogotá in terms of signaling and road safety. NEW SYSTEM FOR AUTOMATIC VEHICLE COUNTING ON INTERSECTIONS "OD-SMART"
CPS INGENIEROS, has initiated the development of an I+D+i project known as “OD/SMART (new system for automatic vehicle counting on intersections)”, funded by the Ministry of Finance, Industry and Competitiveness within the CHALLENGES-COLLABORATION 2016 call for projects. OD/SMART (new system for automatic vehicle counting on intersections), shall be developed over the course of the next three years. The consortium is headed by the company BINARIA and, apart from CPS INGENIEROS,the UNIVERSITAT POLITÈCNICA DE VALÈNCIA is also involved. This ambitious research project falls within the domain of new technologies and ITS development for the improvement of mobility study procedures. 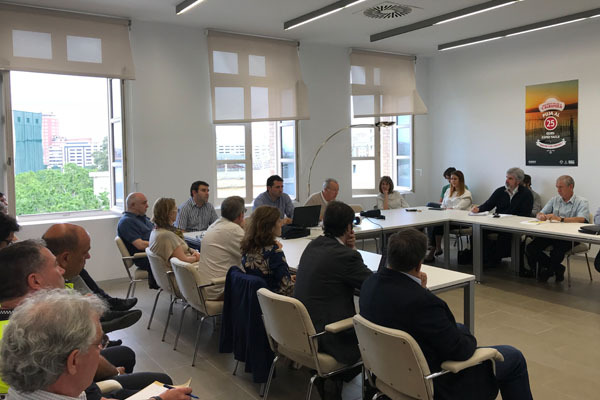 Encompassed within the drafting process of the Sustainable Urban Mobility Plan in the town of Paiporta (PMUS), CPS INGENIEROS has taken part in the month of February, under the auspices of Paiporta Town Hall, in the technical meetings for citizen participation. The aim of these meetings is to explain the current situation and provide an opportunity for citizens and different collectives to voice their opinions on urban mobility, so as to enrich the works at all stages of their implementation. CPS INGENIEROS Peru Branch will perform the services of supervision, control and settlement for EMAPE S.A., for the reconditioning and renovation of the Av. San Juan de Dios in Puente Piedra. Following our successful for this contract, CPS INGENIEROS Peru Branch will perform all tasks involved in the Works’ Supervision, technical monitoring, quality control, environmental conservation control, health and safety coordination, administrative and financial management and others for the purpose of ensuring that the works are executed to comply with the Technical Designs and Specifications document, in order to recondition and renovate the road infrastructure of Av. San Juan de Dios, along the section running between the PanamericanaNorte and Av. Perimétrica in the District of Puente Piedra, Province of Lima. Following the award of this contract, CPS INGENIEROS is charged with performing the technical, administrative, financial, environmental, social and legal audit for the construction works for the connection of Tunjuelo Canoas interceptor with the emergency tunnel, extraction of tunnelling machines and complementary works for the Water Aqueduct, Sewer and Sanitation System Entity of the city of Bogota (Colombia). The duration of the contract is 15 months which will involve the quality control of materials employed in the Works, compliance of all constructive procedures, financial handling of all resources employed, along with the administrative assignments delegated by the Aqueduct Company. Furthermore, CPS INGENIEROS will ensure the rights of the community, contracting entity and contractor with a view to fulfilling objectives in an effective and efficient manner. CPS INGENIEROS Peru Branch will perform the consultancy service for Villacampo SAC, in order to design the residential urban development Villa Jayancaand the new city of Olmos in the province ofLambayaque. TrasFollowing our successful bid for this contract, CPS INGENIEROS Peru Branch will perform this consultancy service for the purposes of conducting a cost estimate based on the Urban Development Project drafted by the AICEQUIP team, carried out on 220 hectaresof land. CPS INGENIEROS will revise and evaluate the works units to be included in the project’s budget, will pre-dimension the projectin terms of demand and experience on which to base measurements and unit price analyses of works units envisaged for the residential urban development Villa Jayanca and the new city of Olmos, located in the Department of Lambayeque (Chiclayo). CPS INGENIEROS, will perform the Technical, Administrative, Financial and Legal Audit of the contract whose object is "The full maintenance of Vertical Signalling in the city of Bogota", in Colombia, for the District Mobility Secretariate of the Office of the Mayor of Bogota D.C. Following the award of this contract, CPS INGENIEROS is charged with performing theTechnical, Administrative, Financial and Legal Audit of the contract whose object is “The full maintenance of Vertical Signalling in the city of Bogota”, in Colombia, for the District Mobility Secretariate of the Office of the Mayor of Bogota D.C (Colombia) including verification that the process of full maintenance of vertical signalling is being correctly complied with. Thiscontractwillhave a duration of eleven (11) months. CPS INGENIEROS, will perform the Technical, Administrative, Financial, Accounting and Legal Audit odf the contracts whose objectives are the Performance of Activities included in the process of signalling and road safety in three áreas of the city of Bogota D.C. in Colombia, for the District Mobility Secretariate of the Office of the Mayor of Bogota D.C. Following the award of this contract, CPS INGENIEROS is charged with performing the Technical, Administrative, Financial, Accounting and Legal Audit of the contracts whose objectives are the Performance of Activities included in the process of signalling and road safety in three areas of the city of Bogota D.C. in Colombia, for the District Mobility Secretariate of the Office of the Mayor of Bogota D.C. (Colombia). This contract will monitor the execution of contracts by areas (North, Centre and South) of the city of Bogotabased on the aims of designing full signalling systems at different points of the city, implementing the signalling designs and progressing with a review of the road mesh where works must be carried out to replace signalling systems which have fallen into disrepair. CPS INGENIEROS Peru Branch will perform consultancy services for HualcaIngenieros of the 3 final technical dossiers for the construction of replacement bridges, in order to develop Hydraulics, Hydrology, Utilities and Traffic studies. Following our successful bid for this contract, CPS INGENIEROS Peru Branch will perform consultancy services of the 3 final technical dossiers for the construction of 12 replacement bridges in Cusco, in order to develop Hydraulics, Hydrology, Interference and Traffic studies on road corridors 3S, 28F and 34G of the department of Cusco. CPS INGENIEROS will verify the dimensions of each bridge proposed prior to investment and will establish final dimensions, as well as the drainage works and foundation and access works. CPS INGENIEROS will also identify and draft the final dossier and documents to be sent to the operators of the different utilities operating in the area, informingHualcaof their existence. The traffic count and Origin-Destination surveys will also be conducted for purposes of the traffic study. CPS INGENIEROS Peru Branch will perform consultancy services for the Building Consortium M2, in order to develop the engineering works entailed in the relocation of existing buildings and utilities, along with temporary access to them. Following our successful bid for this contract, CPS INGENIEROS Peru Branch wilL perform this consultancy service with the object of developing a detailed engineering project to be implemented in the District of Quilca (Av. Faucett – Callao Naval Base) for the Lima 2 Metro Works. The works consist of the geometric road design of the temporary access route to the Naval base, the distribution of temporary buildings to house users of the base by relocating the two Officers’ buildings, the No. 2 Naval Command and the female living quarters in 1 and 2 storey prefabricated modules, street lighting design and electricity connections for the new buildings, the relocation of existing water and drainage networks and the relocation of telephone lines. After being awarded this contract, CPS INGENIEROS is expected to administer over the next 19,5 months the roads which fall into the domain of Ocaña’s territorial department (Colombia) pertaining to the National Roads Institute (INVIAS).Road administration includes the technical and administrative arrangements, actions and activities for the conservation of the national road sector, including management of routine and continuous maintenance, surveillance, monitoring, evaluation and diagnosis of the state of roads in order to guarantee road user trafficabilityin safe and acceptable conditions with the pertinent preventive and corrective actions. PREPARATION OF IMPLEMENTATION PLANNING FOR THE RELOCATION OF THE SCADA SYSTEM IN STATION 4 – AIRPORT AV.FAUCETT –AV.GAMBETTA BRANCH LINE OF LIMA AND CALLAO’S METRO NETWORK. CPS INGENIEROS Peru branch will perform consultancy services for the M2 Lima Construction Consortium for carrying out implementation planning of the relocation of the SCADA system in Station 4. Following the successful bid for this contract, CPS INGENIEROS Peru Branchwill undertake this assignment of consultancy services for developing the implementation planning of the relocation of the SCADA system involving the electrical, automation and telemetric systems of Sector 111 located at the junction of Av.Tomas Valle and Av.ElmerFaucett in the district of Callao-Lima, along with the structural design of TV cameras on entry to the sector and liaison with SCADA engineers and SEDAPAL Telecommunications for compliance with the country’s specifications and standards. PROJECT FOR THE DISMANTLING OF PEDESTRIAN FOOTBRIDGES, IMPROVEMENT OF ACCESSES AND TRAFFIC LIGHTS ON THE AVENIDA DEL CID. CPS INGENIEROS has drafted the “Project to dismantle pedestrian footbridges, improve accesses and traffic lights in the Avenida del Cid” for the Department of Coordination and Maintenance of Works on Public Highways of Valencia Town Hall." The object of the project is to provide five new traffic light controlled pedestrian crossings after the dismantling of the five footbridges currently in place on the Avenida del Cid by putting into practice a dismantling process in a short period of time and with a minimum of problems and inconvenience caused to traffic and inner-city activity in the area. In order to maintain accessibility between both sides of the Avenidadel Cid for the duration of the Works, provisional traffic light controlled pedestrian crossings will be provided at roadside level, located beneath the current footbridges. The project includes new traffic lights for crossings and intersections and provides an overall improvement of accessibility by means of the construction and refurbishment of pedestrian crossings and the replacement of pavements with the appropriate finishes and non-slip surfaces, in accordance with urban environment access regulations. The layout of the future cycle lane included in the 2015 Cycle Network Expansion Project will also be adapted to the project’s undertakings. Construction of a new stretch of cycle lane under the footbridge on calle José Maestre is also included. CPS INGENIEROS, is to carry out, commissioned by the OHL Río Magdalena Consortium, the design of the piling frames necessary for executing the foundations and piles of a bridge over the River Magdalena (Colombia). With the award of this contract, CPS INGENIEROS shall design the ideal piling frame solution in order to hold back both soil and water in the River Magdalena over the two years’ duration of the building works of the Magdalena Bridge, which shall eventually form part of the Motorways to the River Magdalena 2 Project, one of the most important administrative licences currently underway in the country and which is included in the fourth generation motorway programme of the National Infrastructure Agency (ANI). 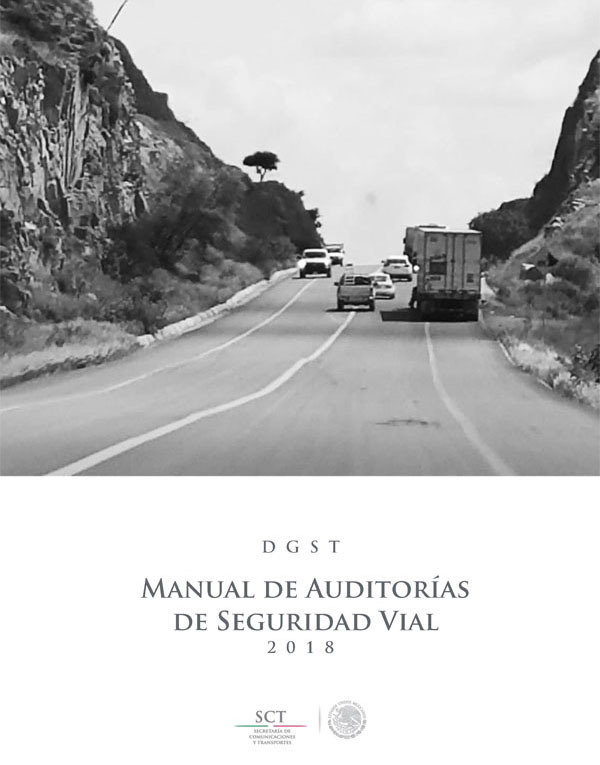 CPS INGENIEROS, has been commissioned by the Ministry of Transports of the Republic of Colombia to produce the following document “Guide to measures for traffic calming”, a document that shall be applied on a national scale. This document shall also include a range of measures, their uses, installation requirements, location, materials, advantages and disadvantages amongst other considerations. CPS INGENIEROS, is to prepare for the Ministry of Transport of the Republic of Colombia a “Methodology for calculating speed limits on Colombian urban roads” to determine amongst other things, signalling on urban highways, all of which will be based on international experience and legislation with the object of adapting appropriate measures in Colombia that are compatible with the Road Signalling Manual currently in force. Valencia Town Hall’s Department of Sustainable Mobility has commissioned CPS INGENIEROS to draft "Phase 2 of the Cycle Route Project. Sancho Tello - Jerónimo Monsoriusection". The project is for a cycle route made up of 1.300 metres of one-directional cycle route shared with other motor vehicles and 800 metres of conventional mandatory two-directional cycle lane. This stretch will connect the current cycle lane located on the east side of the Avenida de Aragón with that ofcalleJerónimoMonsoriu, opposite MetroValencia’s Line T2 Ayora Metro Station. The layout of the shared-use cycle route runs through the streets of Vicente Sancho-Tello, Rodríguez de Cepeda, Aben Al Abbar, Puebla de Farnals, CardenalBenllochandEolountil it connects with the mandatory cycle lane onAvenida de Aragón. The stretch of mandatory cycle lane starts at the intersection of Rodríguez de CepedaandAben Al Abbar streets, runs along Ramiro de Maetzu, and ends inJerónimoMonsoriu. The new cycle lane is 2.50 metres wide with discontinued kerbs and mainly takes up areas currently used for parking and carriageways, thereby minimising the use of footpaths. Carriageways and parking areas have been redistributed and new parking areasfor motorcycles and bicycles have been provided, adapting signalling and traffic lights accordingly. CPS INGENIEROS Peru Branch will perform consultancy services for the General Development Unit of the Autonomous Authority of the Mass Electric Transport System of Lima and Callao (AATE), to update the table of charges for the travel demand model used by said entity. With the award of this contract, CPS INGENIEROS Peru Branch will carry out these consultancy services with the object of updating the current table of charges used by the AATE, by updating public transport charges, increasing the solidity of field data sets, separating transit zones, updating routing systems, among others. The updating of said table of charges will allow for better results to be expressed, bringing them closer to the current situation in the city of Lima. Furthermore, the value of public passenger transport service charges will be technically determined, thereby representing a significant input for the future integration of the city’s models of transport. At the same time, the availability of updated charge information will favour the services provided for the user’s benefit, since it will serve as a technical tool for determining and updating transport charges on all routes of the basic metro network. CPS INGENIEROS has been commissioned by Valencia Town Hall to draft the Project for installing artificial vision cameras for controlling access to residential areas and also the management system of this equipment in the city of Valencia"
Following the successful bid for this contract, CPS INGENIEROS is to draft this emblematic project for the city of Valencia and her historic centre. The project, to be drawn up over the course of the next few weeks, shall define which equipment will control access in which locations, the communication channels required and the management system to be used. The Mobility Department of Valencia's Town Hall has commissioned CPS INGENIEROS to draft a project for "Bicycle signalling and parking areas; safety around schools; improvement of road safety for pedestrians with functional diversity." 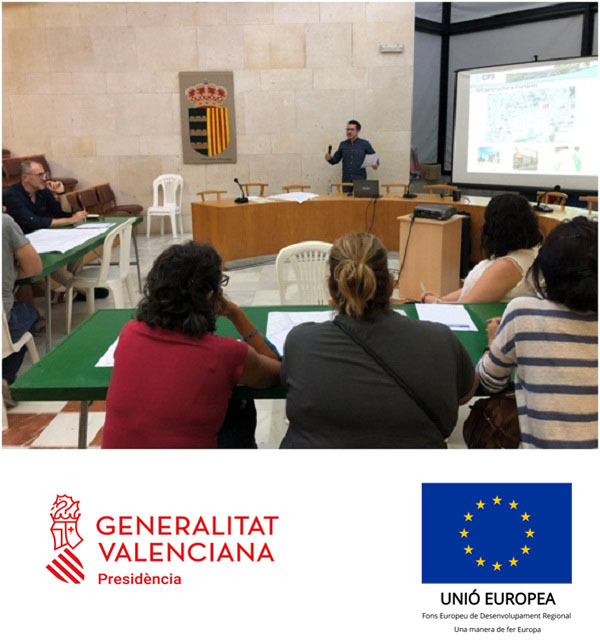 The Project is designed to respond to the needs expressed by a range of neighbourhood associations after citizen consultations were held by Valencia Town Hall. Firstly the number of bicycle parking spaces will be increased within the framework of the municipal plan to encourage the use of this method of transport. Furthermore, road safety will be improved in the vicinity of schools, by means of the design of specific signalling and traffic calming measures. Finally, measures will be designed for greater protection of pedestrians with functional diversity, particularly in areas with heavy pedestrian traffic. The Guipuzcoa Infrastructure Agency has awarded CPS INGENIEROS the task of technical support to works relating to the future public procurement for the Implementation of pay-per-use on the N-I trunk road for heavy vehicles, on the Irun-Etxegarate section, within the region of Guipuzcoa. The Peruvian Ministry of Transports and Communications (MTC) has awarded the Peru branch of CPS INGENIEROS the contract for "Consultancy services for the implementation of a National Model of Interoperable Electronic Tolling in Peru". The Mobility Secretariat of the City of Medellin has commissioned CPS INGENIEROS S.L. to perform the "Technical, Administrative, Legal, Financial and Environmental Audit of vertical signing of TPM roadway corridors". The General Traffic Directorate has awarded CPS INGENIEROS the contract for the "Drafting of reports for the attainment and follow-up of indicators for the Southwest Traffic Management Centre". The General Traffic Directorate has awarded CPS INGENIEROS the contract for "Specialised Development and Analysis of Internal Daily Follow-up Reports for the Drafting of Traffic Studies and Associated Developments". The General Traffic Directorate has awarded CPS INGENIEROS the contract for the "Audit and comparative Evaluation of ITS Technology and Indicator attainment in the Northern Region Traffic Management centre". The General Traffic Directorate has awarded CPS INGENIEROS the contract for the "Specialised Development and Analysis for obtaining Traffic Indicators in the Levante Region Traffic Management Centre"
The Mexico Communications and Transport Secretariat has commissioned CPS INGENIEROS SL to participate in the Project pertaining to the "External Operation Supervision of the Mazatlán-Culiacán Motorway” belonging to the Motorway Concession Holder and North Pacific Beltway S.A.". The Peru branch of OBRASCÓN HUARTE LAÍN has commissioned the Peru branch of CPS INGENIEROS to prepare the Technical Dossier for the connection of farming tracks and irrigation channels (Huarmey Avoidance Route). The OBRASCÓN HUARTE LAÍN company branch in Peru has commissioned the Peru branch of CPS to prepare the Expression of Interest Package Nº2 of Foot Bridges in Peru’s Nº4 Highway Network. The company HUALCA INGENIERÍA S.A.C. has commissioned the Peru branch of CPS INGENIEROS to prepare a draft of the Road Layout and Design for the Replacement of bridges on the Sullana-Aguas Verdes Roadway Corridor. The Peru branch of EUROCONSULT has commissioned the Peru branch of CPS INGENIEROS to prepare a Study for the Routine and Regular Conservation of Bridge Replacement on the Sullana-Aguas Verdes Roadway Corridor. The company KRONECRANES IBÉRICA S.L.U. has commissioned CPS INGENIEROS to draft the health and safety study of the Assembly and Positioning works of 12 gantry cranes in the Juan Carlos I dock in the Port of Algeciras (Cadiz). The company MONRABAL Instalaciones y Mantenimiento has commissioned CPS INGENIEROS to draft a report of the facilities included in the rehabilitation works of the former branch of the Bank of Spain in Toledo. The Mobility Secretariat of the City of Medellín, has commissioned CPS INGENIEROS SL to perform a "Technical, Administrative, Financial and Legal Audit of all contracts pertaining to the complete development of all activities involved in the process of traffic signalling in Bogota, north, central and south zones of the city". The Mobility Secretariat of the city of Medellín, has commissioned CPS INGENIEROS SL to perform the "Technical, Legal, Administrative and Environmental audit for the Maintenance, Improvement, Rehabilitation and Construction of Supplementary Works on Priority roads in the Sub-Regions of North and Lower Cauca in the Department of Antioquia". The Peru branch of OBRASCÓN HUARTE LAÍN has commissioned our company’s Peru branch to carry out the preparation of Technical Dossiers for the Replacements of Optical Fibre Pipelines in Huarmey, Casma, Virú By-passes and Salaverry Road Interchange. 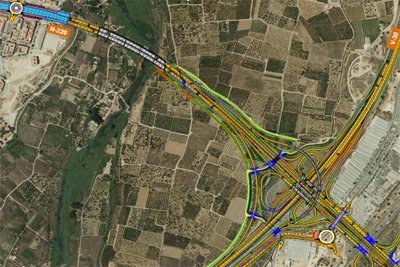 AUMAR ABERTIS has awarded our company the contract for performing a "Road Safety Audit for the Initial phases of Service on the AP-7 motorway section between Montmeló and El Papiol". The Valencia Port Authority has awarded CPS Ingenieros the services contract for "TechnicaL Assistance in the Coordination of Health and Safety in Maintenance Works 2015-2019". The concessionary company LAMSAC has awarded CPS Ingenieros’ Peru branch the contract to perform "Consultancy Services for the Evaluation and Preparation of Status Reports of the Huánaco and Balta Bridges". 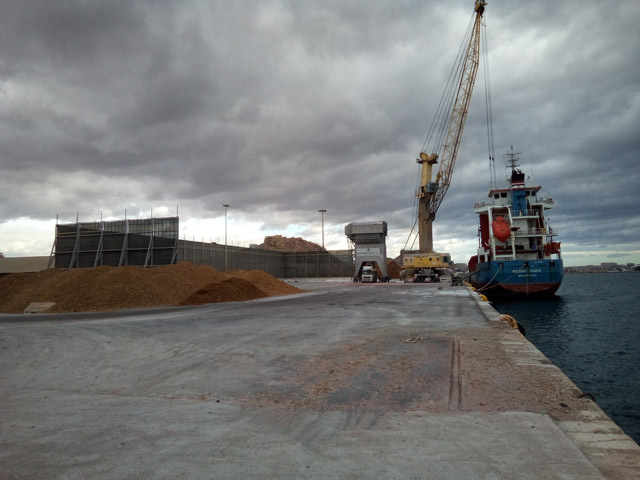 The Valencia Port Authority has awarded CPS Ingenieros a contract for Drafting the Construction Project for Road Surfaces and Infrastructures of the Xità Dock in the Port of Valencia. The Peruvian branch of the company OBRASCON HUARTE LAIN has commissioned the Peru branch of CPS INGENIEROS to review the technical information regarding drainage and structures pertaining to the construction project "Rehabilitation and Upgrading of the Andahuaylas-Pampachiri-Negromayo highway, Andahuaylas – Huancabamba section". The Peruvian Ministry for Agriculture and Irrigation (MINAGRI-PSI) has awarded the Peru branch of CPS INGENIEROS with the contract for supervision of the works "Installation of Water Supply for irrigation in the Lucma Irrigation System", Province of Mariscal Luzuriaga, Department of Ancash. 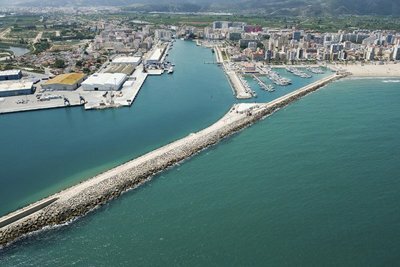 The Valencia Port Authority has awarded CPS INGENIEROS with the contract for Technical Assistance and Health and Safety Coordination for the duration of the works to "Redevelopment of the plot between the Turia dock road and the outer Turia dock road in the Port of Valencia". The Interior Ministry’s General Traffic Directorate has awarded CPS INGENIEROS the contract for Technical Assistance and Support to the Services of Driving License Points and `Proficiency Testing of the national traffic headquarters. The Valencia Port Authority has awarded CPS INGENIEROS the contract for Technical Assistance and Health and Safety Coordination in the works to extend the MSC shipping terminal in the Port of Valencia. 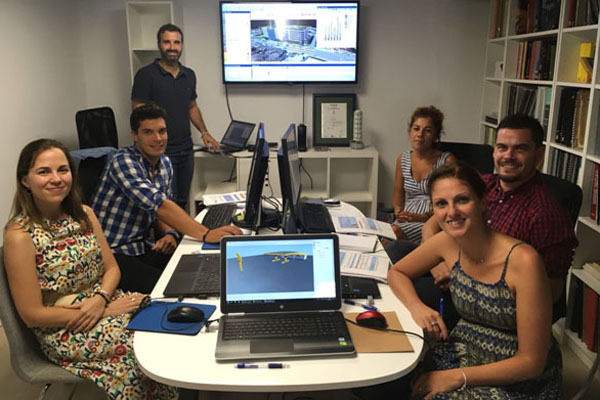 The company ACTUACIONES AMBIENTALS INTEGRALS has awarded CPS INGENIEROS the Works supervisión and health and safety coordination for the duration of works to install "Remote Control of the Sewage and Stormwater networks of the town of Gandía Phase-I". The Peruvian Ministry for Agriculture and Irrigation (MINAGRI-PSI) has awarded our Peru branch the Services for Works Consultancy for drafting the project for “Installation of Water Supply for the Vilcanchos Irrigation System, Espite, San Miguel, Vilcanchos-Victor Fajardo-Ayacucho Districts. The Ministry of Public Works has awarded CPS INGENIEROS a Technical Assistance contract for performing "Road Safety Audits prior to commissioning roadworks on the Autovía de la Plasta Highway A-66 between Benavente and Zamora, code 70-ZA-0010". The Ministry of Public Works has awarded CPS INGENIEROS a joint contract with Egis-Eyser for auditing the road safety of modified projects on key actions: B-9001, 98-B-9006 and 98-T-9910. CPS INGENIEROS has been commissioned as BET of the Groupement Pénétrante of the project « Réalisation de a Pénétrante Autoroutière reliant Mascara à l’autoroute Est-Ouest sur 43 km en 2x3 voies. Lot 2 : Échangeur RN17(Hacine) – Échangeur RN17A (Tizi) sur 18 km » for the Algerian Road Authority. The Peruvian Ministry of Transport and Communications (MTC) has awarded the Peru Branch the Consultancy Services contract for the IMPLEMENTATION of speed controls on Peru national roads. The Peruvian Ministry of Transport and Communications (MTC) has awarded the Peru Branch the Consultancy Service Contract for the production of a National Logistic Development Plan for sub-national highways. The Mayor of Bogota (Colombia) has commissioned us to perform a "technical, administrative, financial and legal audit of contracts involved in the process of implementing road and traffic signs in the north, centre and south zones of the city of Bogotá”. The Valencia Provincial Authority has commissioned CPS INGENIEROS to draft the Construction Project for the Fuenterrobles Bypass and Re-conditioning of the CV-475 road layout. Phase 2: Section: A-3 to Camporrobles. MSC Terminal Valencia has commissioned CPS INGENIEROS to draft the study for resolving the road layout and adapting it to the new heavy traffic exit of the MSC Terminal and widening of the access road to the provisional MSC Terminal car-park. The INMAES (Madrid East Installations) and CPS INGENIEROS Consortium has been commissioned to draft the project for Renewal of Traffic Equipment of the City of Madrid. The Valencia Port Authority has awarded CPS INGENIEROS the contract for Coordination of Health and Safety for the works for "Removal of crane located on the seabed off the northern pier of the Port of Valencia" for a period of three months. CPS INGENIEROS has been commissioned by the Highways Authority in the Regional Ministry of Public Works and Development to draft the project for Road improvements on the right hand section of the V-30. New Mislata intersection (Valencia). The Valencia 2007 Consortium has awarded CPS INGENIEROS the contract for Health and Safety Coordination in the works to renovate the sanitary facilities of the America’s Cup building for a period of one month. CPS ENGINEERS has been commissioned by INTU EUROFUND INVESTMENTS VALENCIA S.L. to draft the Road Layout Study for accesses to the Puerto Mediterráneo Shopping Resort. The General Traffic Directorate has awarded CPS INGENIEROS the contract for the “Development and specialized analysis of internal reports for daily monitoring prior to the implementation of the project to obtain hold-up indicators" for a period of two months. The Lima Municipal Toll Company (EMAPE) has awarded the Peru Branch of CPS INGENIEROS the contract for "Development of Pre-Investment Profile and Feasibility Studies of the channeling and river bank protection of the Huaycoloro River in the District of Lurigancho Chosica, Province of Lima ". The Port Authority of Valencia has awarded CPS INGENIEROS the Health and Safety Coordination contract for “Renovation of the Canet de Berenguer and Cullera lighthouses" for a two month period. The ANA (Agence Nationale des Autoroutes) of the Democratic and Popular Republic of Algeria, has awarded CPS INGENIEROS the contract "Control and follow-up of the works to link a 26km stretch of the Port of Oran Highway with the East-West Highway”, with a duration of 30 months. The Ministry of Transport and Communication (MTC) has awarded the Peruvian Branch of CPS INGENIEROS a contract for the "Consultancy Services for preparing the Road Safety Inspection Report on the Puno to Cusco Highway with code PE 3S, Urcos to Juliaca Section". 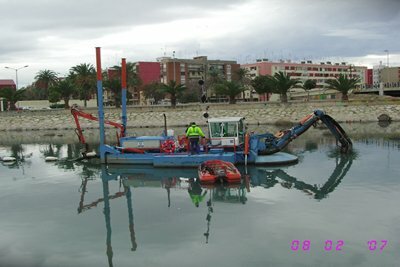 The Port Authority of Valencia has commissioned CPS INGENIEROS for the drafting of the "New Road link between the South of the Turia Dock Road and the New Access Checkpoint of Vessels to Port, outer Turia esplanade"
The Port Authority of Valencia has awarded CPS INGENIEROS the Technical Supervision and Health and Safety Coordination of the Works for the "Construction of new fire-fighting facilities, electrical and auxiliary optic fibre installations in the vicinity of the Serpis Dock in the Port of Gandia"
The company MSC Terminal Valencia has awarded CPS INGENIEROS the Health and Safety Coordination of the "OCR Civil Works Project". The company NOATUM Container Terminal Valencia has awarded CPS INGENIEROS the Health and Safety Coordination in the works to "Repair of a container crane at the Noatum terminal in the Port of Valencia." CPS INGENIEROS has been awarded a contract for drafting the Project for Implementing ITS equipment and systems in the urban environment, included in the "M-30 Investment Project, Madrid"
ROAD SAFETY AUDITS OF PROJECT PHASE "MURCIA NORTHERN ARCH"
The Ministry of Public Works has awarded the Joint Venture CPS-ENGINEERS-TYPSA INTEF, the contract for support services to "road safety audits at the construction project stage" Murcia Northern Arch between KM 652 of the A-7 and the Cabezo de Torres link. Province of Murcia". The Port Authority of Valencia has awarded CPS ENGINEERS Coordination Safety and Health of the "New Construction Works in North Port Extension Valencia" with a duration of 8 months. The Municipal Administrating Company for Toll roads in Lima (EMAPE) has awarded CPS Ingenieros Peru Branch the service contract for consulting work in the "Improvement and Rehabilitation of Road Infrastructure on Avenida San Juan de Dios, Panamerican Highway Northern Section – Avenida Perimétrica in the District of Puente Piedra, Province of Lima" SNIP 195624". The Municipal Administrating Company for Toll roads in Lima (EMAPE) has awarded CPS Ingenieros Peru Branch the contract for consulting services for works’ supervision: Extension of Av.Universitaria, Av.Caudivilla – Av.Manuel de Prado section in the District of Carabayllo. The Ministry of Development has awarded the joint venture with CPS ENGINEERS Engineering, Planning and Development SL and AECON INOCSA SLU, the lowest contract for technical assistance services for the realization of the "Road Safety Audits in the design phase of construction of the actions of key T2-Z-4340 and 12-SO-3050. Ministry of Development has awarded to UTE CPS-ENGINEERS-IMESAPY TYPSA, lower service contract for technical assistance for the implementation of "Road Safety Audits in the initial phase in service key performance 12-GR-3640, GR-35605-12 and GI-98-9908C and in the run up to the commissioning of the performance of key: 17-V-5400. CPS Engineers Branch was awarded Peru in Peru to "Handling Certificate absence of archaeological remains during the execution of works of pedestrian access Costa Verde. Section: San Isidro, Barranco "to SIPÁN. WATERS Us VALENCIA SA has awarded CPS ENGINEERS Coordination Safety and Health of the "Rehabilitation Works Well Radial Dam"
The Sacyr-Neopul Orihuela Joint Venture has commissioned CPS Ingenieros with the drafting of the Project for "Facilities at Orihuela Railway Station of the new High Speed Rail Access to the Levante region". The work will consist of the design of facilities for technical rooms, platform access and platforms. The consortium of CPS Ingenieros Peru Branch, Samuel Ramos and Zosimo Quisca has been awarded the "Contract for consultancy services of works to supervise the implementation of the Irrigation System in Tutapayocc Vista Alegre - Pantekilla, Surcumbamba district- Tayacaja - Huancavelica "included in Peru’s Ministry of Agriculture Agro Rural programme. The company NOATUM Container Terminal Valencia, has contracted with CPS Engineers for the work of Technical Assistance and Safety Coordination and Health "Supplementary Geotechnical Investigation low beam Dock future East Rail Terminal in Noatum Valencia". CPS Ingenieros asiste al XIV Congreso Español sobre Sistemas Inteligentes de Transporte, celebrado en Madrid, presentando dos comunicaciones libres junto con la DGT, relacionadas con trabajos realizados dentro de los contratos de asistencia técnica: “Gestión de la distancia de seguridad en la carretera A-497” y "Cálculo de un indicador para la evaluación del grado de congestión en los accesos a las ciudades". 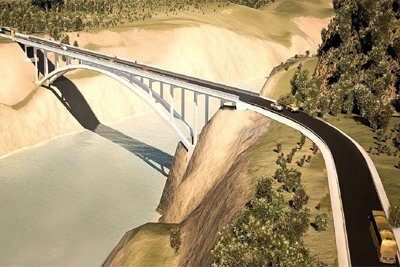 CPS Ingenieros Sucursal Perú en UTE con Geoconsult S.A. ha resultado adjudicataria para realizar en Perú el “Estudio definitivo para la construcción del Puente Cayara y accesos” así como el “Estudio definitivo para la construcción del Puente Maranura y accesos”, ambos para PROVIAS NACIONAL. CSS para AGUAS DE VALENCIA S.A.
La empresa AGUAS DE VALENCIA S.A. ha adjudicado a CPS Ingenieros las Coordinaciones de Seguridad y Salud "Renovación de la Tubería Arterial Ronda Tránsito. Tubería Interconexión DN400 en Avda. Pérez Galdós-C/San José de Calasanz" y la "Renovación de la Tubería Arterial FD DN500/400 de C/Guillem de Castro por Tubería FD DN600/400". CPS Ingenieros asiste al 22º Symposium Nacional de Vías y Obras de la Administración Local (VYODEAL) a cargo de la comunicación libre de “Experiencias adquiridas en la elaboración del Plan Piloto de Seguridad Vial de Nicaragua: Aplicación a Redes Locales y Provinciales” donde se exponen los trabajos realizados en el marco del Contrato de “Servicios de Consultoría para el Diseño del Plan Piloto de Seguridad Vial” para el M.T.I. Lybian Investment And Development company /LYDCO) ha adjudicado a CPS Ingenieros el contrato "Documentation and Design Review, Supervision/Training ad Comissioning. Consultancy Services" en Tripoli (Libya). El Instituto Nacional de INVIAS en Colombia ha adjudicado al consorcio CPS Ingenieros, Estructurador Colombia S.A.S e INFRALAR S.A.S la "Interventoría Técnica, Administrativa, Financiera y Ambiental para el Mantenimiento de las Vías enmarcadas en el Programa Estratégico de Conectividad Vial para Boyaca"
CPS Ingenieros en UTE con ITSAK S.L.U. y FULCRUM, han sido adjudicatarios para la realización de “Auditorias de seguridad viaria en la fase inicial en servicio de tres actuaciones de la Red de Carreteras del Estado” para el Ministerio de Fomento. CPS Ingenieros ha resultado adjudicatario para realizar en Colombia la Interventoría Técnica, Ambiental, Administrativa, Financiera y Legal para el Mejoramiento, Rehabilitación, Mantenimiento y Construcción de Obras Complementarias en la Red Vial de la Subregiones Norte y Bajo Cauca del Departamento de Antioquia. The changes to our “Transportistas” app have now been implemented regarding new restrictions to the circulation of vehicles or groups of vehicles of over 4 axles on National Road N-II between Vidreres and Jonquera. CPS Ingenieros takes part in the VI National Road Safety Congress with the following presentation “Road safety web portal and mobile accident viewer developed for the National Highway Network” where all internationally pioneering works promoted and coordinated by the Public Works Ministry’s State Highway Network in the Valencia Region within the framework of the Contract for Drafting Road Safety Studies and Projects have been developed and operated by CPS Ingenieros. CPS Ingenieros, Obra Civil y Medio Ambiente, in collaboration with engineer Facundo del Castillo and his company Ingenium Servicios de Ingeniería, will draft several detailed projects for the Administration of Artigas in Uruguay. Said projects have received funding from the International Development Bank and address the Ranbla Kennedy roadway and the remodelling of Zanja Caballero. CPS Ingenieros has taken part in the I Technical Meeting on Road Safety at the University of Alicante on 10 April, where our Head of Planning and Development, Enrique Villalonga Bautista, presented a paper on “Innovative Technological Tools for Road Safety Management”. CPS Ingenieros, in collaboration with Control y Geología SA has been commissioned by ADIF to undertake the Technical Support and Surveillance of the Villena (Alicante) AVE railway station’s facilities. CPS Ingenieros, Obra Civil y Medio Ambiente will be drafting for EMPAE S.A. in Peru the projects for implementing the Works for “Construction and upgrading of pedestrian stairways and bridges on the Costa Verde, San Isidro, Miraflores and Barranco section (Lima)”. The members of the SIPAN Consortium, responsible for the technical and works dossier, are CPS Ingenieros, Obra Civil y Medio Ambiente, S.L. along with Aldesa Construcciones S.A. and Ditranserva, S.A.C. TRANSPORTISTAS, App created by and for professionals from the Road Transport Sector in Spain. It will help you in planning your route according to your vehicle, checking out all official traffic restrictions in 2013 with the option of choosing alternative routes. Maps out RIMP itineraries. We have explanded the scope of our services by being classified as a Service Company in Group V: “Information and Communication Technology Services” SUBGROUP 2: “Computer Programme Development and Maintenance Services”, pursuant to acknowledgement by the Ministry of Finance and Public Administration of Information Technology-linked solutions and services that we have been providing over a number of years, framed within contracts won with the General Traffic Directorate, Ministry of Public Works, Regional Ministries and Town Halls, in specific areas of Civil Engineering, such as traffic and road safety. With the slogan “Plan your journey from wherever you are”, we have launched our new Meteoruta APP, the first application to inform you of the weather forecast along your route. This new APP provides the user with a powerful tool for journey planning, including information about the weather, the chance of rain, temperature and wind direction and intensity at different points of the trip. We have a new website, with links to our APPs. We hope the content is of interest. With the slogan “Valencia on 2 wheels”, we have launched our Bici Bike Valencia APP, containing all the information that a cycle user in Valencia could need: cycle lanes and cycle streets, Information about the Valenbisi service in real time (available bikes and bike parks), and much more. Completion of the TRAVIESA PROJECT for the development of New Technologies in the Mitigation of Vibrations transmitted by urban and metropolitan railways to their surroundings. CPS Ingenieros has taken part in the XI Spanish Congress on Intelligent Transport Systems, where three papers were presented. This congress was held in Madrid from 24 to 26 April and was organizad by ITS Spain. CPS Ingenieros was the successful bidder of the contract for “Onsite supervision works in the upgrading of road surfaces and modification of roadways to be carried out over the course of 2012 on the Aumar AP7 Motorway Network, manged by Abertis Autopistas, covering sections between Tarragona – Valencia and Valencia-Alicante”. In Uzbekistán CPS Ingenieros has signed a contract financed by the Asian Development Bank for developing the “Construction Project, Budget Estimate and Technical Specification Document for Section 3 of the Project to supply water and sewage services in Fergana, Margilan and Andijan”. In Peru CPS Ingenieros opened a branch office on 23 February after registering with the National Register of Taxpayers (RUC). Our offices are located in Lima with our local associate and the Office Manager is the Spanish engineer Gonzalo López Beltrán. CPS Ingenieros was the successful bidder, in partnership with another engineering company, of the contract for WORKS MANAGEMENT OF “PLATFORMS RESERVED FOR PUBLIC TRANSPORT IN CASTELLON. PHASE I, SECTIONS III AND IVb C/ZARAGOZA AND CITY CENTRE LOOP”. These sections are in the very centre of the city and therefore, pose a greater negree of complexity when resolving interference with the city’s public transport network. Works completed in December 2011: “Works’ Supervision and Health and Safety Coordination of the works for renovating road infrastructures and environmental improvements and accessibility with phono-absorbent paving on Avenida Primado Reig in the city of Valencia”. VALENCIA TOWN HALL. CPS Ingenieros participated and presented a paper, in the MEETING ON NORMALIZATION, PLANNING AND REGULATION OF MOBILITY IN URBAN AND INTER-URBAN SETTINGS. This meeting was held in Madrid on 29 and 30 of November, was sponsored by the National Traffic Authority and organized by the Spanish Road Association. AEC (Spanish Road Association) published in issue no. 178 (July-August) of their technical road journal the article: “Controlled access to high capacity roads and impact on traffic flow and road safety”, drafted by the Traffic and Mobility Department at CPS Ingenieros. CPS Ingenieros is a collaborating partner in the TRAVIESA Project: (Transmission of Vibrations of the Urban Railway to its Surroundings: Strategies, Technologies and Materials for Reduction), financed by the Ministry of Ministry of Science and Innovation within the PUBLIC-PRIVATE COOPERATION programme, IN REFERENCE TO TRANSPORTS AND INFRASTRUCTURE and which is currently in the final stages of completion. CPS Ingenieros has developed a website for the Management of road safety on highways operated by the Ministry of Public Works as part of their contract “Drafting of road safety studies and projects 2009-2011 in the State Highway Division in the Valencia Region”. ANCI (National Association of Independent Builders) awards Luis Altarejos García, Civil Engineer and Technical Director of CPS Ingenieros the “2010 ANCI Prize for Doctoral Theses” for his Thesis “Contribution to estimating the probability of faults in concrete dams within the context of risk analysis”. The prize giving took place on 24 February in the Thyssen Museum and was presented by the Secretary of State for Planning and Infrastructures, Victor Morlán. CPS Ingenieros joins the Spanish Water Technology Platform (PTEA) as a participating member in PG.4 (Engineering Consultancy).